This post considers how generosity can provoke adventures and conflict. Rather than give a white elephant or a poison chalice and force characters to buy off the problem that's suddenly landed - in itself fun yet overuse leads to resentment and paranoia towards such by sensitive or unduly competitive players. Such extravagant rewards can emphasise the 'above and beyond' nature of exemplary success in certain actions, particularly if they are driven by roleplaying as well as favourable dice. Generosity in RPGs is not a trait usually associated with heroic characters, yet there are many examples of such - from giving of arms and armour to a hero (e.g. Beowulf) to questing for the perfect gift (e.g. Culhwch and Olwen), something any shopper during a primary gifting period can empathise with. Even those you'd expect to be altruistic may grumble at the expense, especially if they receive no in-game reward for doing so. Hero as provider is an older than dirt trope yet effective. Building expectations of generosity can be a function of fluff and/or crunch. In Mongoose's Slaine RPG heroes can gain or lose face by their generosity (or stinginess) being expected to change clothes every season (how many fantasy RPGs does that happen in?) or face accusations of being cheap. The extravagance of the nouveau riche protagonist is a staple of fiction from Conan to Mr. Deeds Goes To Townand lampooned in many RPGs. Old School Renaissants will no doubt recall The Dragon's #10 article Orgies Inc. Living a larger-than-life lifestyle must carry it's own perks and hazards. Canny DMs will consider bonuses or additional options to social situations for those who make an effort. In some cases, a certain amount of bling may be mandatory. Discussions whether such generosity has a place within the game in the context of religion have led to contention; spell out such expectations up front or introduced as a story element rather than spring them on an unsuspecting player as a pit trap. Where social mores demand player participation, it is down to the DM to communicate and manage those expectations by backstory, lore or NPC attitudes. Show don't tell is a powerful method of reinforcing the message, spawning story hooks and opportunities for players to exercise ingenuity. Where games have a reputation mechanic, this can be enhanced or even detracted from depending on their actions - even a generous individual can be seen as insincere, insane or manipulative. Lavish generosity can also be seen as indicative of a culture's decadence. Gifts can indicate ethics or morals of a culture - an imperalist martial culture that uses slavery has very different ideas about a suitable honour to the egalitarian philosophers in the next city-state. The attitudes towards such gifts also provide insights into how adept the culture with intrigue and secrecy. 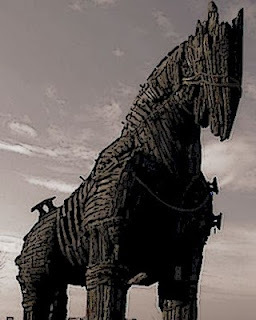 There are proverbial examples of such (the Trojan Horse) and these endure to this very day.